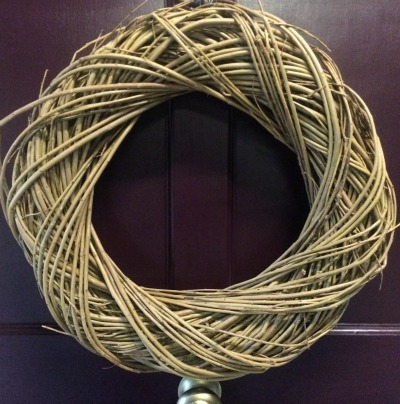 Tasteful and stylish these wreaths are handcrafted by us and are suitable for indoor and outdoor use. 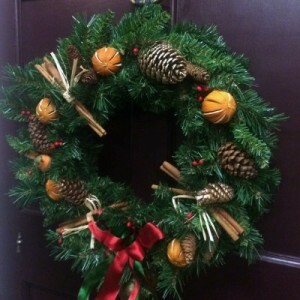 Tasteful and stylish these wreaths are handcrafted and decorated by us and are suitable for indoor and outdoor use. 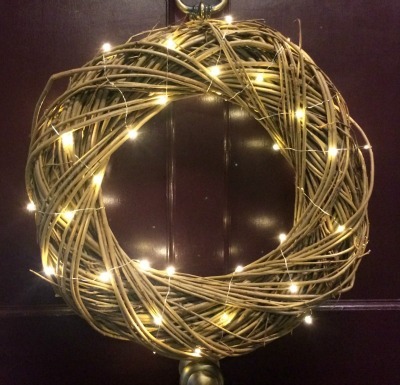 This stylish wreath is suitable for situations where fresh greenery would not last, such as in an indoor environment or for an extended season. 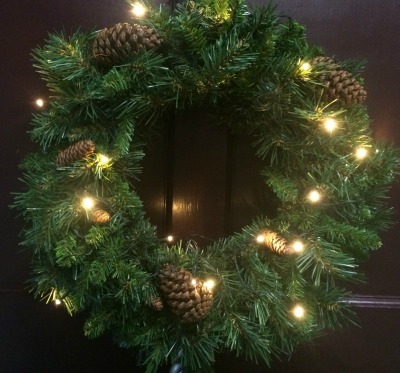 They are plump and generous with natural cones, gold cones, whole dried oranges, raffia-tied cinnamon bundles and a red ribbon. 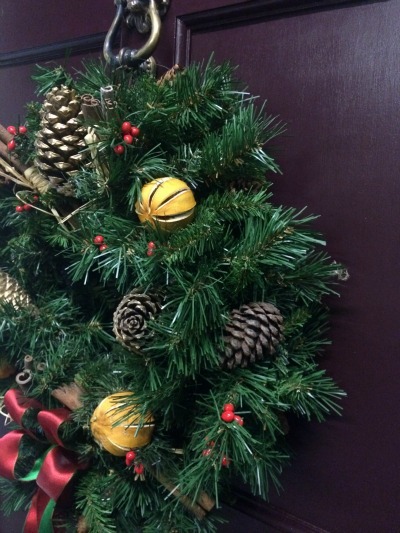 With careful storage they will last for decades. 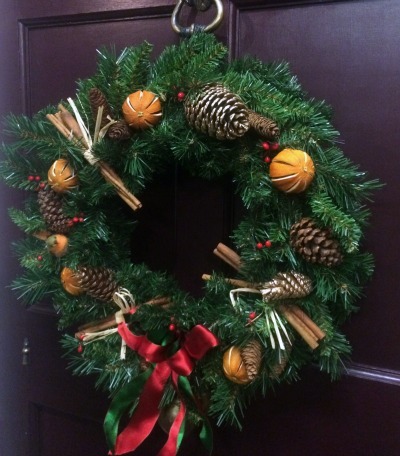 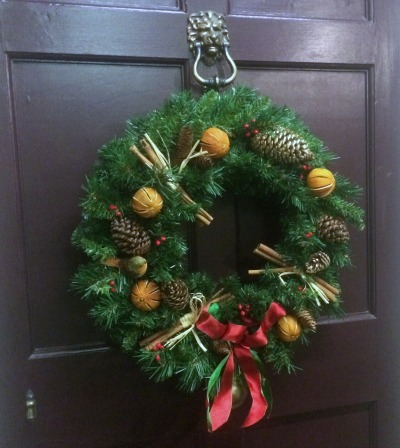 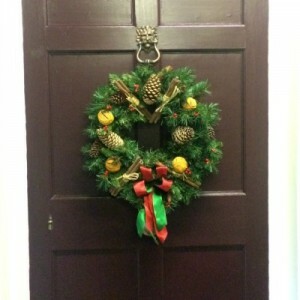 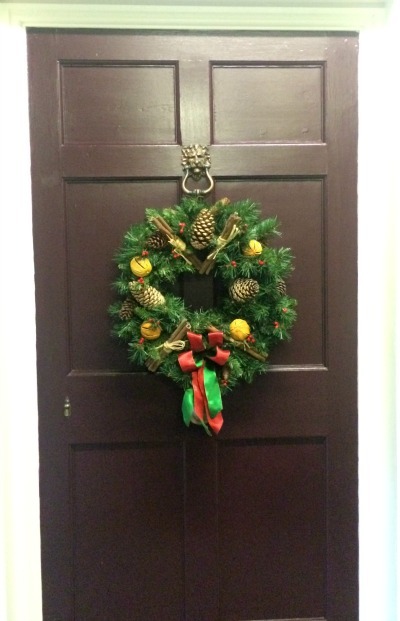 This wreath is also available in 32″ and 44″ for entrance gates or commercial premises. 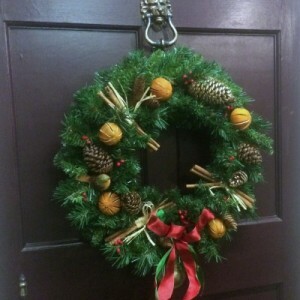 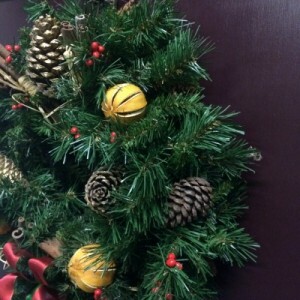 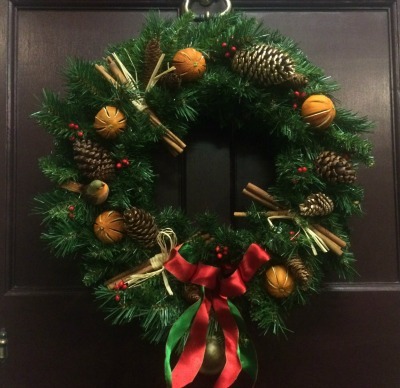 Be the first to review “Artificial Green Wreath – 20″ decorated” Click here to cancel reply.